Gray has provided accounting and business advisory services to SMEs for over 40 years. Working with Fifo Capital clients in the Wellington area, Gray provides tailored cash flow solutions covering a range of scenarios, from an unexpected cash crisis to enabling a business to accelerate their growth strategy. Drawing on his vast business experience, Gray specialises in helping clients with short term cash flow finance, but also – and importantly – in helping clients to improve governance and business structures. He welcomes business owners to get in contact for a no-obligation discussion about their finance needs and how to facilitate business growth. 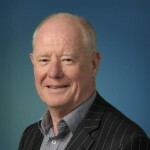 Gray serves on a number of volunteer boards including chair responsibilities and strategic planning facilitation, and he is also a Fellow of the NZ Trustees Association and a member of the Institute of Directors.